Rebeka is no ordinary seventeenth-century woman-she's travelled back from the year 2011, and she desperately wants to return to her own time. She poses as a scholar sent by the king to find out what's killing Arik's land. But as she works to decode the ancient runes that are the key to solving this mystery and sending her home, she finds herself drawn to the charismatic and powerful Arik. Was a little hard to get into at first but definitely got better and better. I'd recommend for a quick mysterious read. 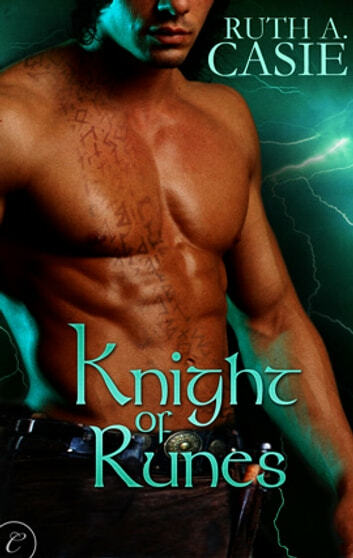 "Knight of Runes” Ruth Casie Time Travel romances often have a similar premise. Ruth Casie is an excellent writer and puts out many enjoyable reads. She also interjected things in this book, The Knight of Runes, that I've not encountered before in reading any of my time travel books. In my opinion they added a great deal to the story which I very much enjoyed. I would easily recommend it to friends and fellow Time Travel addicts. Since I also bought the audible version, I'd like to add that I felt that Montana Chase did an outstanding job as narrator for the audible version. Being a narrator is an extremely difficult job since you have to try to be able to change the sound, and often accents, for the various characters. I think she did an admirable job, and perhaps my having to stop and start in the listening affected my judgement, thus the 4, really would have put a four and a half... Just couldn't figure out a way to do that. Also, I was trying to listen to it around having out of town company. I very much enjoyed the book and know I will listen to it, and enjoy it again. If you haven't read or listened to this story yet, you may want to check it out. Really, I think I always enjoy Ruth Casie's books.